Today’s couples are spending more of their own money to have the wedding they want, and in true millennial style, they are focused on making both the wedding and the planning process more meaningful and enjoyable for everyone involved, according to the latest American Wedding Study conducted by Brides magazine. Brides, published by Condé Nast, has been conducting an annual survey of engaged and newlywed women for more than 20 years to glean insights into the behaviors and emerging trends among marrying couples with regard to their wedding, its costs, planning details, media, and industry trends. Today’s couples are seeking ideas and inspiration at a greater scale than ever before, and bridal media is more valuable than ever, said Brides editor in chief Keija Minor. 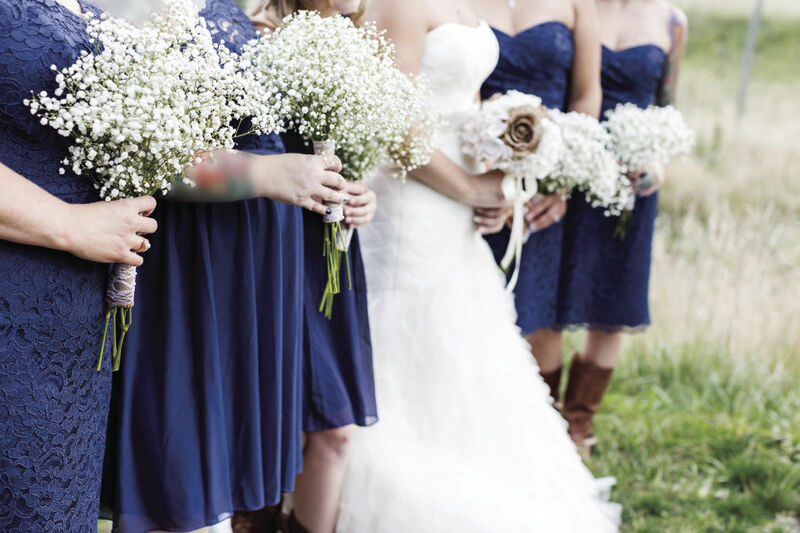 “This year’s study shows that, to that point, brides are moving away from requiring their bridesmaids to wear the exact same dress, with 66 percent asking them to wear only the same color instead,” said Minor. 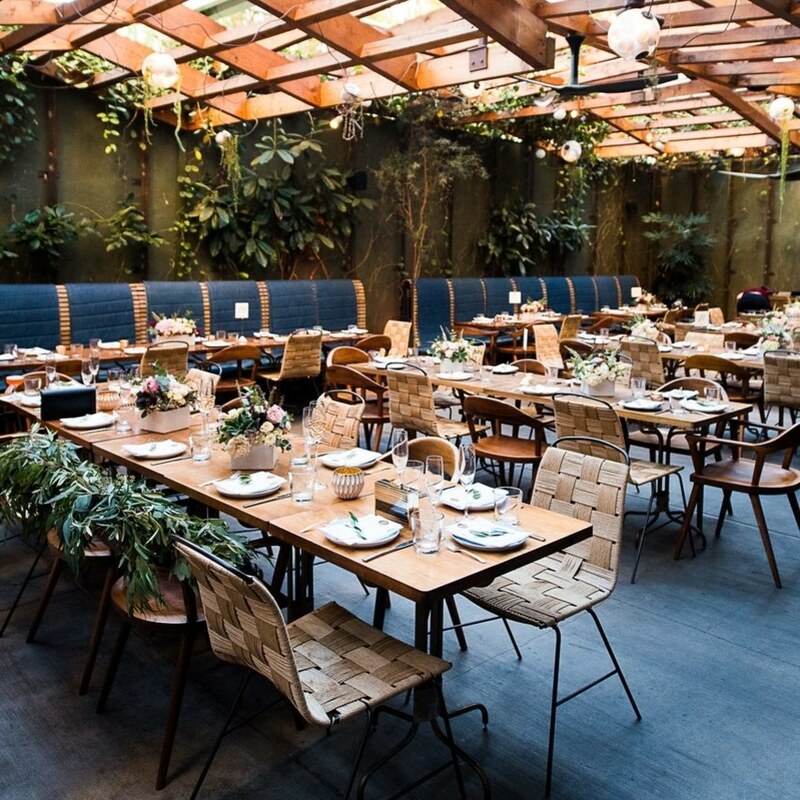 The results indicate that more than ever, personalization is a priority, as couples are choosing to spend more on details that demonstrate their style and scaling back in areas that don’t, such as the number of guests. Couples’ investment in their wedding has reached a new high, with 73 percent paying for or contributing to the cost. This has given some couples the freedom to choose what they want without as much pressure from parents and social traditions, Minor said. Social media sites are fueling this trend. The practice of including a “man of honor” is also on the rise, with 14 percent of brides opting to have a male friend stand by their side. Couples are also not adhering to the traditional “marriage first, children second” timeline. Some 33 percent of couples already have children by the time they marry. Another big break from tradition is that September and October, at 16 percent each, now replace May (12 percent) and June (13 percent) as the most popular months to get married. * The average wedding cost is $26,522. * The average reception has a price tag of $11,380. * The next-biggest-ticket items are the engagement ring ($5,135), photography ($2,099) and video ($1,533), reception music ($1,508), and wedding bands ($1,725). * The average wedding cake costs $417. * The average wedding dress costs $1,517, up $137 from $1,380 in 2015. * The average bridesmaids’ dress costs $133. * 89 percent of couples set a wedding budget, and 35 percent spend more than intended, up from 30 percent in 2014. * 58 percent are willing to increase their budget to get the wedding they want. * More couples are beginning to consider Friday and Sunday dates (15 percent and 13 percent, respectively), although Saturday remains the most popular date to marry (65 percent). * Social media is the main way brides-to-be are connecting with wedding brands and products during planning, with 82 percent doing so versus 75 percent in 2014. * Pinterest remains the most popular social-media platform for brides-to-be, with 72 percdent using it to find inspiration or help planning their wedding, up from 67 percent in 2014. * 33 percent of brides are connecting with brands and products through Instagram. *After receiving an engagement ring, 62 percent posted a picture of it to social networks. * 39 percent posted photos or video of the proposal to social media. * 51 percent create a custom hashtag for their wedding and related events. * To keep their guests informed throughout the planning process, 39 percent of brides-to-be post photos and updates from cake tastings and vendor visits. * 53 percent show wedding vendors their ideas on social media to use at their wedding. * 82 percent of couples live together prior to getting married, and 67 percent live together prior to the engagement. * 33 percent already have children before marriage, 9 percent of them with each other. * The average length of engagement was 14.4 months. * December is still the most popular month of the year to get engaged (21 percent). * Only 60 percent of couples are having engagement photos taken, down from 64 percent in 2014. * 29 percent of couples have an engagement party. 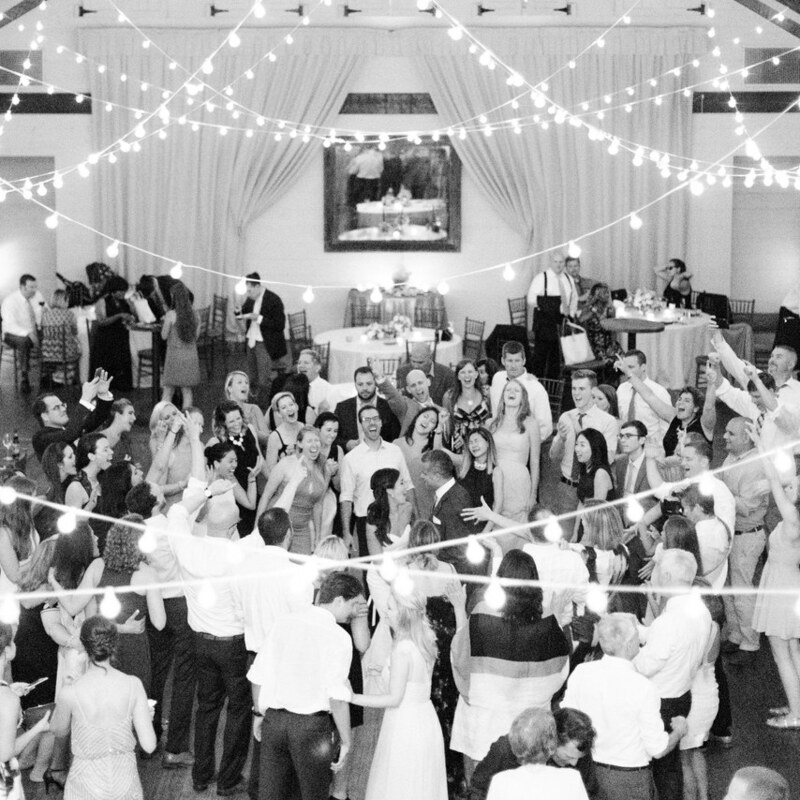 * 18 percent host wedding weekends, or multiple events over multiple days. 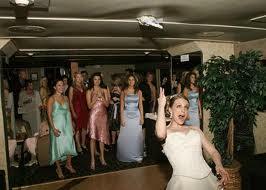 * 63 percent of brides are given a bridal shower. * 19 percent of couples opt to continue the party after the reception. * 10 percent of couples chose to combine their bachelor and bachelorette parties. * 44 percent had their bachelorette/bachelor parties out of town, and 42 percent had them locally. * Honeymoons and minimoons remain popular, with 85 percent opting to take a post-wedding trip. * A “buddymoon,” a post-wedding vacation with friends or family, with 3% of couples taking one. * 17 percent of all weddings were destination weddings, slightly up from 16 percent in 2014. * At destination weddings, 38 percent of couples provide hotel accommodations for guests, up from 30 percent in 2014. * Of those having a destination wedding, couples are inviting fewer guests (91 versus the 145 for nondestination weddings) but are paying for “extras” such as gift bags at check-in (53 percent), shuttle buses to the ceremony/reception (32 percent), and events beyond the wedding, such as planned activities (30 percent) and the rehearsal dinner (46 percent). * The average cost of a wedding dress is $1,517, up from $1,380 in 2014. * Traditional white and off-white gowns are still the most popular, with 93 percent of brides selecting either color for their wedding dress. * More brides are looking to make a splash by wearing something nontraditional, with 11 percent opting for something “unique” such as a cocktail-length dress, separates, jumpsuits, or nonwhite outfit. * 54 percent of brides chose to wear a veil. * Multiple dresses continue to rise in popularity, with 10 percent purchasing a second look for the reception and another 7 percent doing so for the after-party. * Tuxedos remain the choice for 54 percent of grooms, while 36 percent opt for a suit. * 51 percent rented their formalwear, and 41 percent purchased it, up from 36 percent in 2014. * 88 percent of brides had a maid or matron of honor, and 14 percent had a man of honor, up from 10 percent in 2014. * 82 percent of grooms had a best man, and 7 percent had a best woman. * 99 percent of couples had bridal attendants, and 98 percent had groomsmen or ushers. * The average bridesmaid’s dress cost $133. *The average number of bridal attendants was 5.3. *The average number of groomsmen was 5.1. * Flowers girls were part of the wedding 63 percent of the time, and 57 percent featured a ring bearer. * Pets were included in the ceremony at 8 percent of weddings. 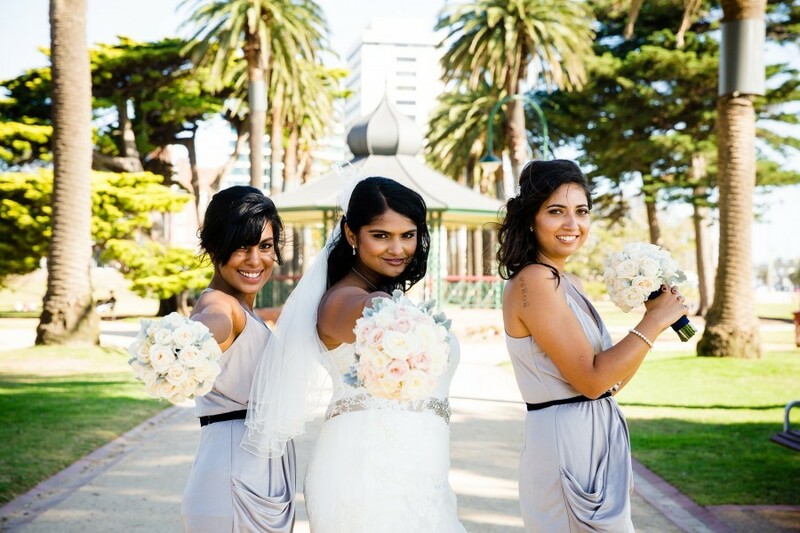 * Brides are opting to be less matchy-matchy when it comes to their bridesmaids. 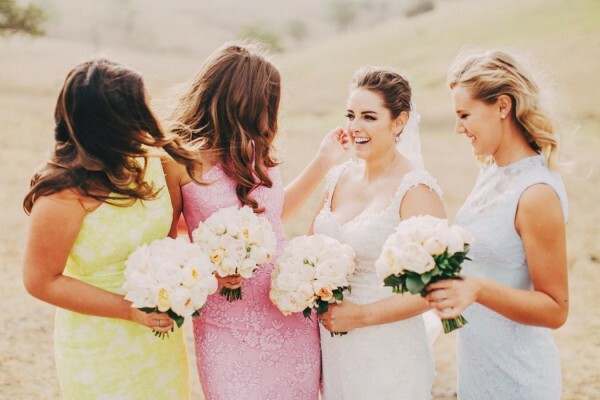 Some 66 percent chose a color and let their bridesmaids choose the dress style, while 33 percent matched in both color and style, down from 38 percent in 2014. * September and October have become the most popular months for weddings, accounting for 32 percent of all weddings. * 63 percent of brides are having their ceremony and reception at the same place and same time, up from 56 percent in 2014. * A quarter of couples chose to marry in a house of worship, down from 35 percent in 2014. * 28 percent of engaged couples asked a friend or family member to get ordained to marry them, up from 20 percent in 2014. * Almost all couples incorporate wedding traditions into their big day, including cake cutting (90 percent), the first dance (89 percent), toasts (83 percent), and “something old, new, borrowed, and blue” accessories (81 percent). * 62 percent of brides chose not to see the groom before the wedding, down from 67 percent. * 48 percent of couples opted for traditional wedding vows, down from 53 percent. * 85 percent of women plan to take their fiancé’s name when they get married.